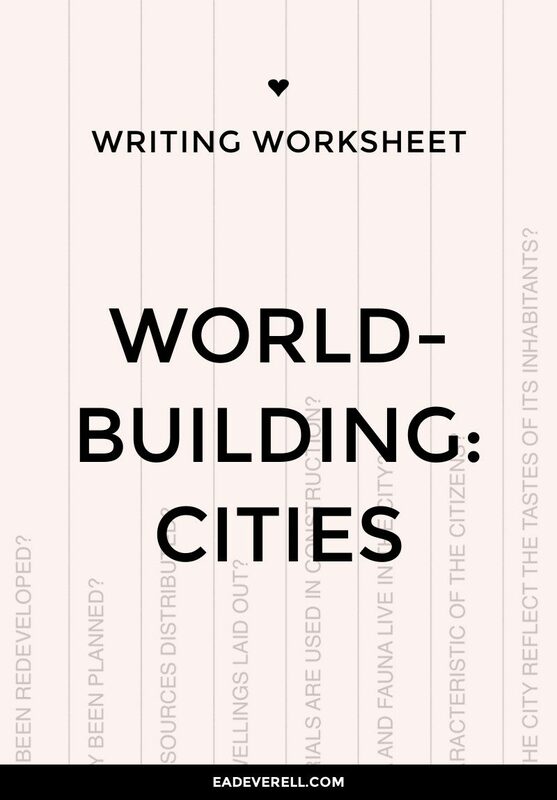 This worksheet contains 3 pages of questions to help bring your fictional city to life. I’ve always been fascinated by the way cities develop; how they evolve defences, infrastructure, boundaries, and districts. Where they’re built, what they’re built on, why they’re built where they’re built, who they’re built by… All these questions seem ripe for creating mystery. Some cities are characters in themselves: Minas Tirith in Lord of the Rings, Gotham in the Batman series, and the amazing traction cities of the Mortal Engines series are a few that occur to me. 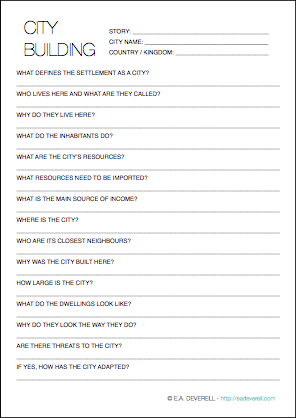 Of course, there is only a thin line between cities and other forms of settlements such as towns, fortresses, and city states, so the worksheet can be used to develop these also. I’ve tried to keep the questions general, and not make assumptions about genre, era, or race. I hope this worksheet sparks some great ideas!